Michael Thal is the author of five published novels—Goodbye Tchaikovsky, The Abduction of Joshua Bloom, and The Koolura Series—The Legend of Koolura, Koolura and The Mystery at Camp Saddleback, and Koolura and the Mayans. You can learn more about Michael Thal on his website and blog at www.michaelthal.com. His books can be purchased on Amazon.com and Barnes & Noble in print and as e-books. 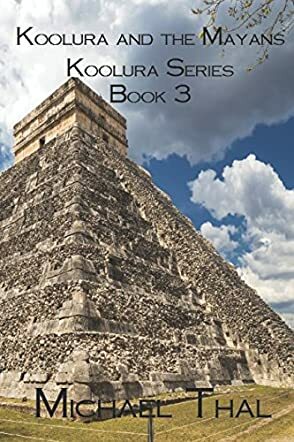 Koolura and the Mayans by Michael Thal is the third book in the Koolura series, an exciting story that will take readers on a historic ride back into the old Maya civilization. Koolura and her friend, Leila, are just two young teens visiting Mexico. They stumble on a device that allows them to travel back in time. They are thrust into an early Maya civilization, whose people are enslaved by the Aquari. The people hope for a goddess who could set them free. Could Koolura be this goddess? Although Koolura and the Mayans is written for a pre-teen audience, it was fun to read as an adult. Michael Thal’s characters are awesome and I enjoyed Koolura and Leila, two girls who are smart and very ingenious. They make a great team. Readers will enjoy watching them evolve through the story. The author seems to create a whole new culture around the Maya and the story feels so real, reading about the people and the challenges they face. At the level of style, this book is beautifully accomplished. First off, the reader will notice the gorgeous accessible writing, composed of short and easy-to-understand sentences. The writing also features great descriptions of characters and setting. The descriptive prose creates powerful images in the minds of readers. I enjoyed the well-crafted dialogues which make the characters come to life. Readers will love the adventure, the drama, the conflict, and the entertaining nature of this story. I enjoyed it!